If you set compassion as your first thought, even your mistakes will tend to be for the better. When you have to perform hard tasks, compassion can make them less painful. Compassion for your friends reminds you to be helpful. Compassion for your enemies reminds you not to take things too far. Let compassion touch everything you do, and everything you do will be improved. This is how we make a better world. 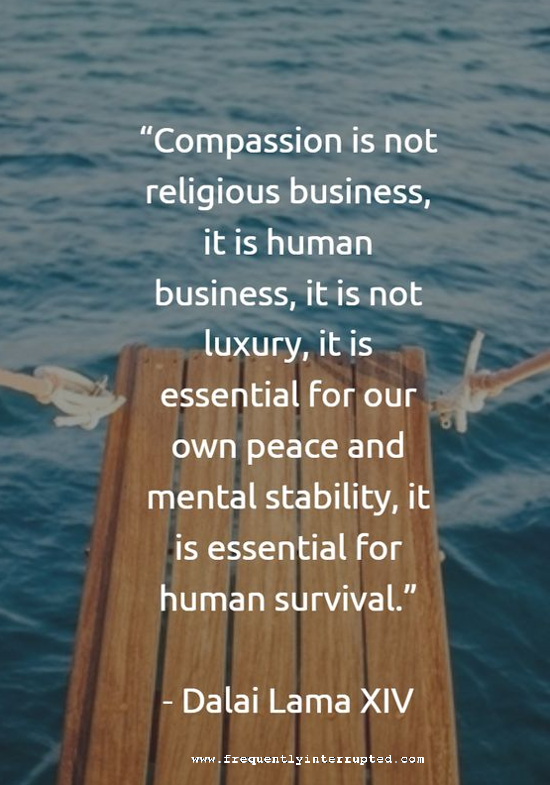 Start first with compassion, and work from there.